Standard College Hoodie. 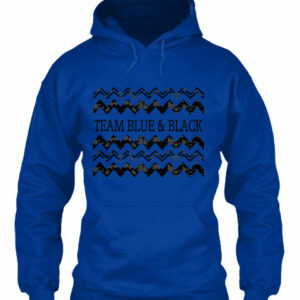 A blue hoodie with black Chevron style artwork, and the words ‘Team Blue & Black,’ in a beautiful design. Makes an excellent product for a friend and a chance to join the network of other Blueys! Team Blue & Black forever! Unisex Organic T-shirt. A high-quality, eco friendly blue t-shirt with black Chevron style artwork, and the words ‘Team Blue & Black,’ in a beautiful design. Makes an excellent product for a friend and a chance to join the network of other Blueys! Team Blue & Black forever! Standard Unisex T-shirt. 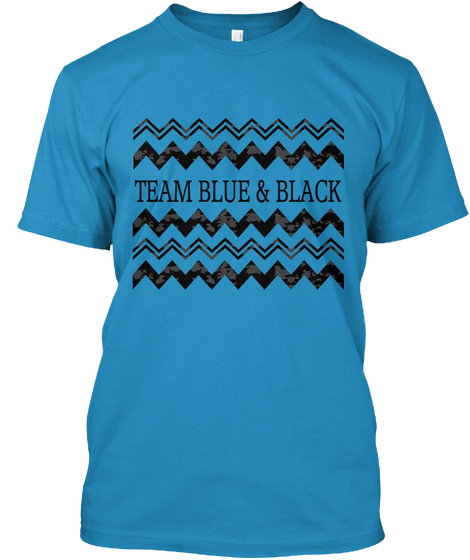 A low-cost, high quality blue t-shirt with black Chevron style artwork, and the words ‘Team Blue & Black,’ in a beautiful design. Makes an excellent product for a friend and a chance to join the network of other Blueys! Team Blue & Black forever! Standard College Hoodie. 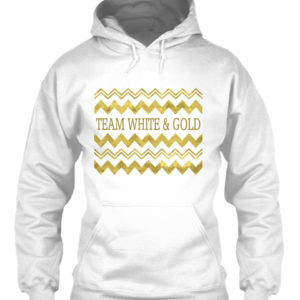 A high-quality white hoodie with gold Chevron style artwork, and the words ‘Team White & Gold,’ in a beautiful design. Makes an excellent product for a friend and a chance to join the network of other Goldies! Team White & Gold forever! Unisex Organic T-shirt. 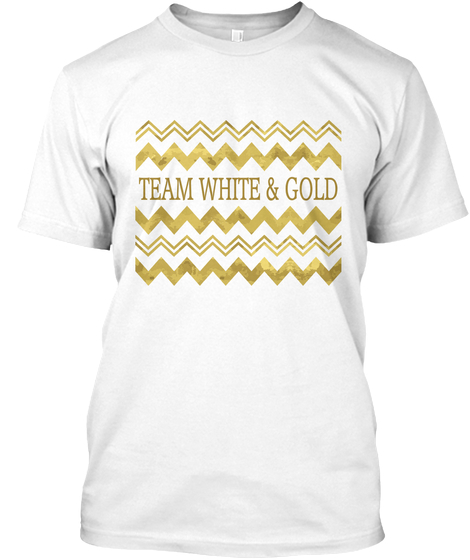 A high-quality, eco friendly white t-shirt with gold Chevron style artwork, and the words ‘Team White & Gold,’ in a beautiful design. Makes an excellent product for a friend and a chance to join the network of other Goldies! Team White & Gold forever! Standard Unisex T-shirt. Low cost high quality white t-shirt with gold Chevron style artwork, and the words ‘Team White & Gold,’ in a beautiful design. Makes an excellent product for a friend and a chance to join the network of other Goldies! Team White & Gold forever! 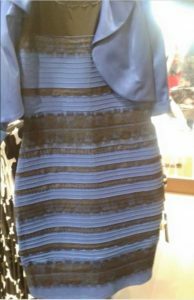 A dress causes a huge debate across the world as some see it as black and blue and others see it as white and gold. 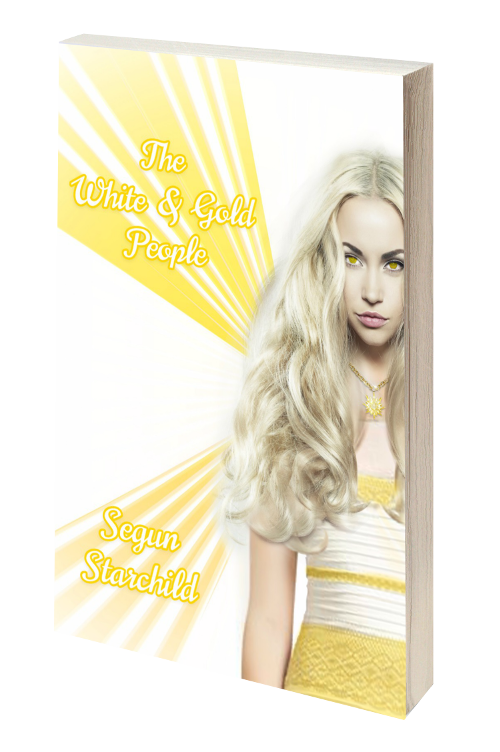 The white and gold people suddenly start to get even stranger visions and develop super human abilities making the black and blue people seem old and inadequate. 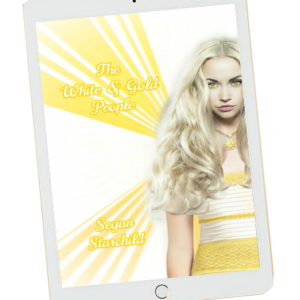 The government try to quarantine and control their power but the white and gold people react setting the stage for a war between the rival groups. "..... the dress was only the beginning!"